If the weather was great in Texas, it was terrible in New York City. I got unlucky, five cloudy rainy cold days wedged in between two lovely Spring weeks. I couldn’t complain though, I had to make the most of it. I only didn’t get to go up the Rockefeller centre, I had wanted to watch the sunset from The Top of the Rock but the cloud meant there wasn’t a good sunset to be seen. Being my second trip to the big apple, I’d already done a lot of things including going to the top of the Empire State Building the first time around. The day I arrived I didn’t do much, I got my laundry done, which was as easy task since I was staying in an Airbnb on the edge of Chinatown. I went for dinner in a cute wee Italian place and chatted to the chef. 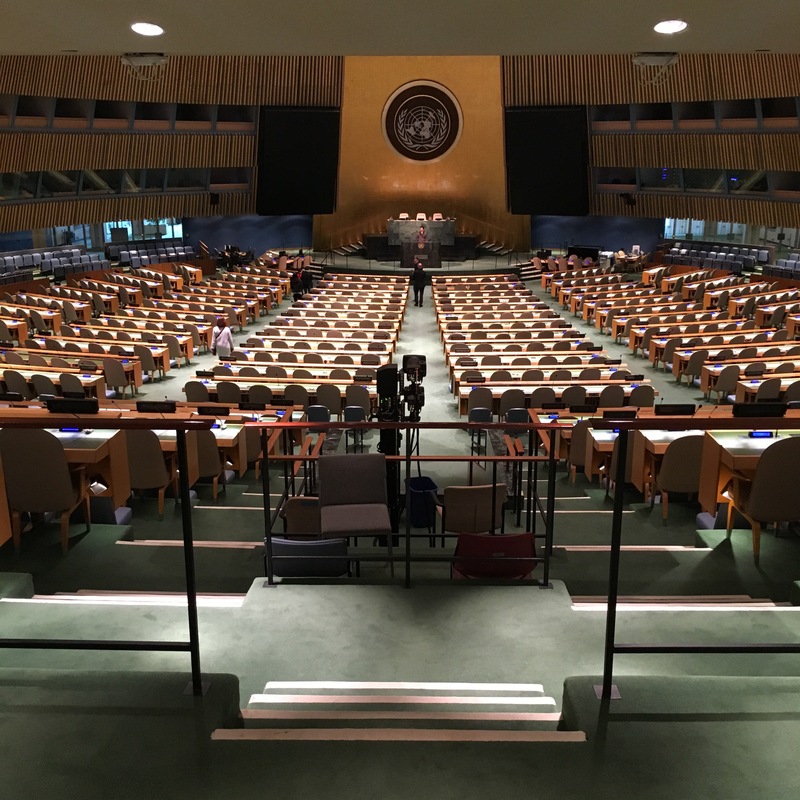 The next morning I went to checkout the UN and got my passport stamped after the tour, the security council was in session but I didn’t get to see anyone important. It turns out Aunty Helen wasn’t in the building anyways. I had Shake Shack for lunch at Grand Central station and then did a little shopping and wandered around the area I was staying in and did some window shopping in SoHo. 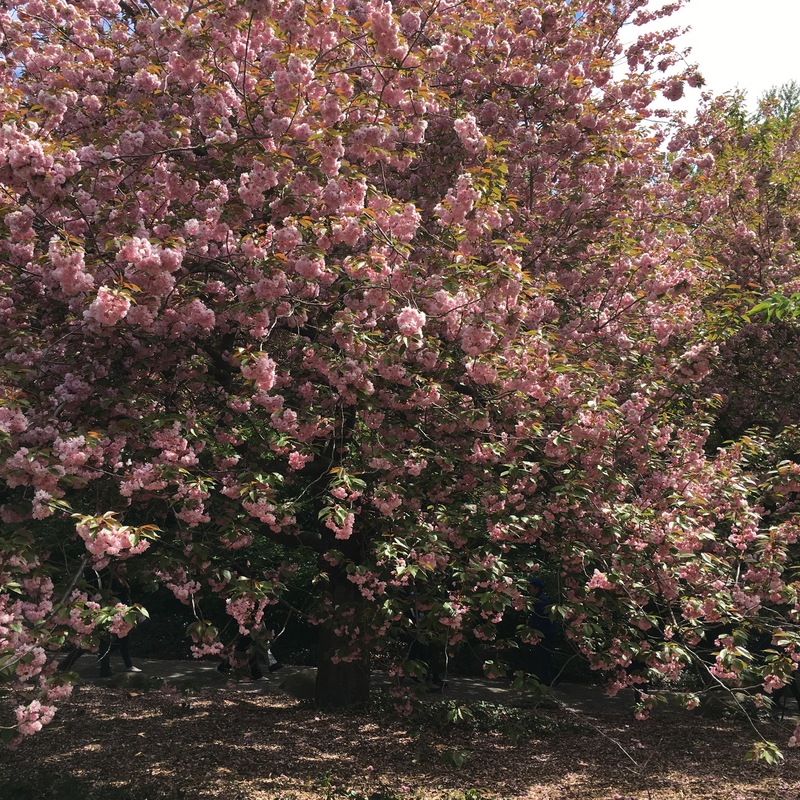 The sun came out for the most important day of the trip, the day I went to Sakura Matsuri, the Japanese Cherry Blossom festival at the Brooklyn Botanical gardens. It’s was spectacular! So many blooms and tulips too. I went to a tea ceremony and an Ikebana demonstration as well as taking hundreds of photos of the flowers. That night I got tickets to An American in Paris and wandered around the Upper West Side, around the ponds in Central Park and watched some young kids playing baseball. The show was excellent, singing and dancing and elaborate costumes and sets! Sunday was very chilled out, it was quite wet so I didn’t really have the motivation to do a whole lot. In the morning I wandered around the Lower East Side, visited another Whole Foods and did some window shopping at expensive boutiques. In the afternoon I went to a Degas exhibition at MoMA (thanks to my Airbnb host for loaning me her members card) and shopped 5th Avenue. I spent four hours on Monday morning at the 9/11 museum, it was such a moving, thought provoking and informative exhibit and I just couldn’t speed through it. I’d been to the 9/11 memorial before the last time I’d visited in 2012, but the whole site surrounding it was a construction zone last time and now they’ve nearly finished building the new World Trade Centre buildings and infrastructure. The museum itself was at the foundations of the original buildings with the main exhibit under the south tower memorial, right in its foot print. I needed a pick me up after that experience so headed to Century 21, a cut price department store a block away for some retail therapy. 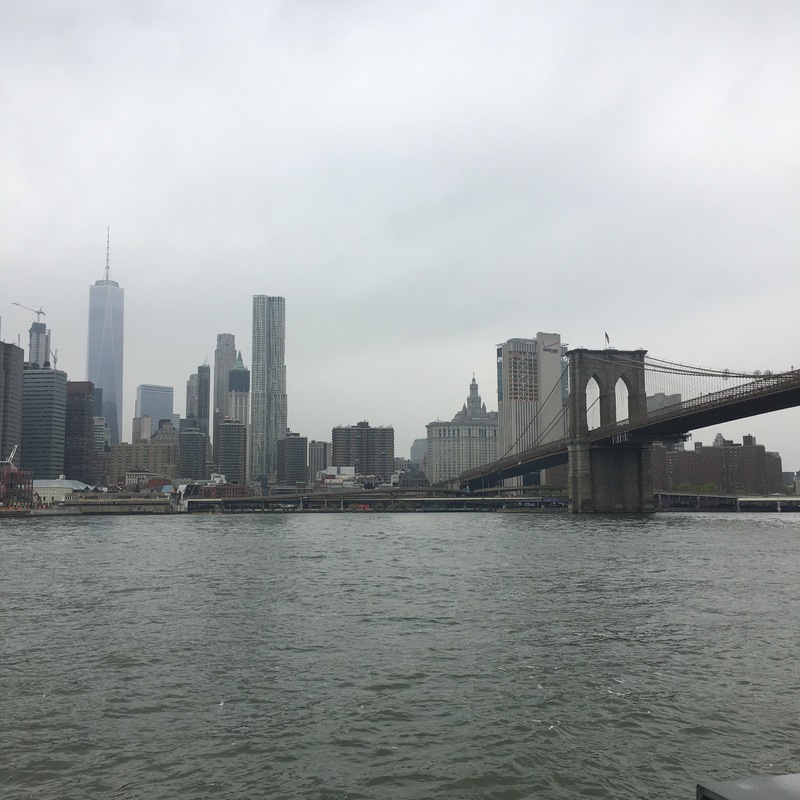 Then I headed to Brooklyn to wander through Brooklyn Bridge Park and admire the New York skyline from the other side of the East River with views of the Brooklyn and Manhattan bridges. 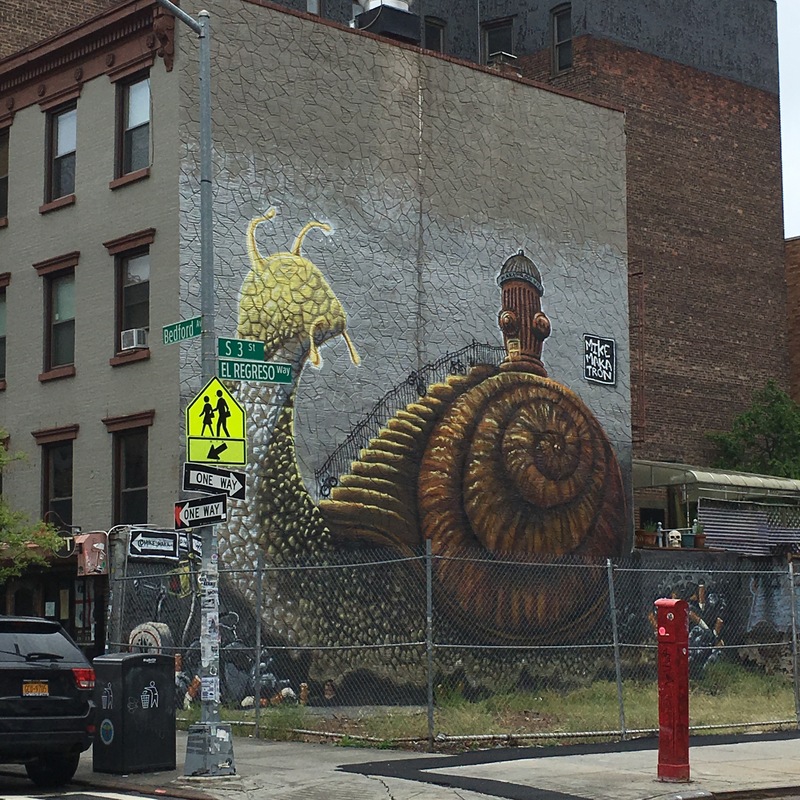 I sat in contemplation for a while – until it threatened to rain when I headed for DUMBO and the subway. That night I had cheap and cheerful Chinese from Chinatown and an early night. My last full day in New York came far too quickly! However I had done most of the things I had wanted to do (and that the weather had let me do), so I spent the morning wandering the streets and had a truly magnificently hipster New York lunch of squash and quinoa salad with avocado and artichoke heart with a red juice. To continue with the hipster vibe after that I headed to Williamsburg. I shopped and ate (some New York baked cheesecake) and drank in the surroundings. I’m sure the rain and the fact it was a Tuesday helped, but it felt much more quiet and suburban than I imagined. For my final night in the Big Apple I did two of my favourite things, I ate cheap pizza and saw my favourite show. The pizza really was cheap 99c a slice and the show was Chicago, the cast were great, and I stayed after to get autographs and take photos with the stars. It was my third time seeing it and definitely the best! Bianca Marroquín who plays Roxie Hart did an excellent job, the best I’ve seen, thoroughly recommend. Wednesday morning I had two tasks, see a friend for a coffee and pack. I was sad to be leaving, but I had to take all my new shoes back home. I crammed my bag shut and left for the airport, not before getting some serious help lugging my suitcase up the subway steps. I’m back in Wellington now, and the adventures don’t end there, I’m moving house in two weeks and this weekend I’m off to Christchurch to see my family. I started my US trip with 10 days in Texas and Louisiana. I was very pleased to hear that Air New Zealand was starting direct flights from Auckland to Houston so it was a great opportunity to spend 14 hours on an aircraft! Actually in all honesty, the flight wasn’t too bad, and we landed early. It also saved me from a stopover and another 3ish hour flight from the West Coast to Texas. I arrived into Houston on the wettest day they’ve had since the floods last year. I really just thought the rental car agent was trying to up-sell me to an SUV for his own commission, but really his statements about the flooding being up to the hood of his car were true. Luckily I managed to avoid all of the flooding and arrived at my hotel faster than expected and with a great impression of Houston traffic. When I found out the shopping mall was mostly closed I realised how bad it was. I headed away from the rain the next day to New Orleans to stay with a friend from my time in France. The drive was quite long but for about the last hour you could really tell why New Orleans is so at risk from hurricanes (the next day at the brewery tour the guide showed us how high the water got during Katrina- 8 feet)! Alex and I went to dinner before heading to a local bar/music venue where we listened to some jazz/funk music and got our groove on! On my full day in New Orleans I was busy! 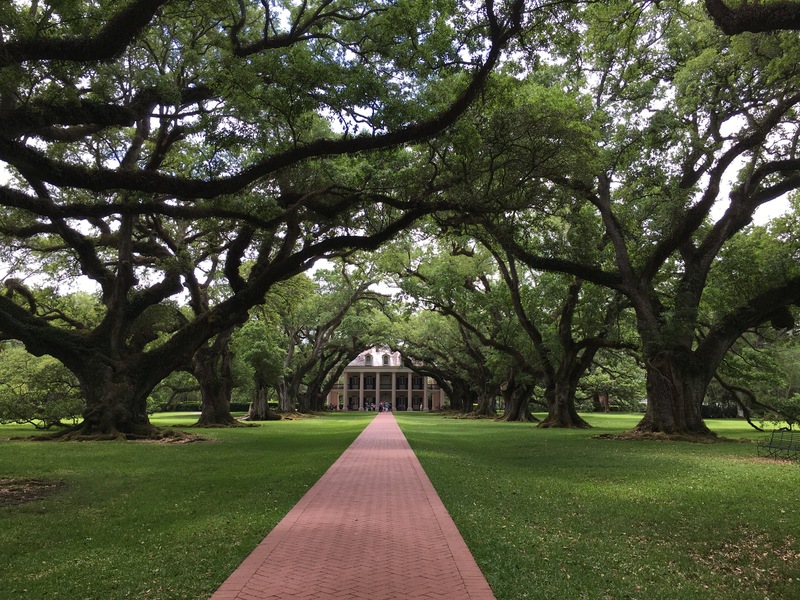 I started the day with a tour of the Laura Plantation and explored Oak Alley with its exquisite white mansion and two rows of oak trees leading up to it. 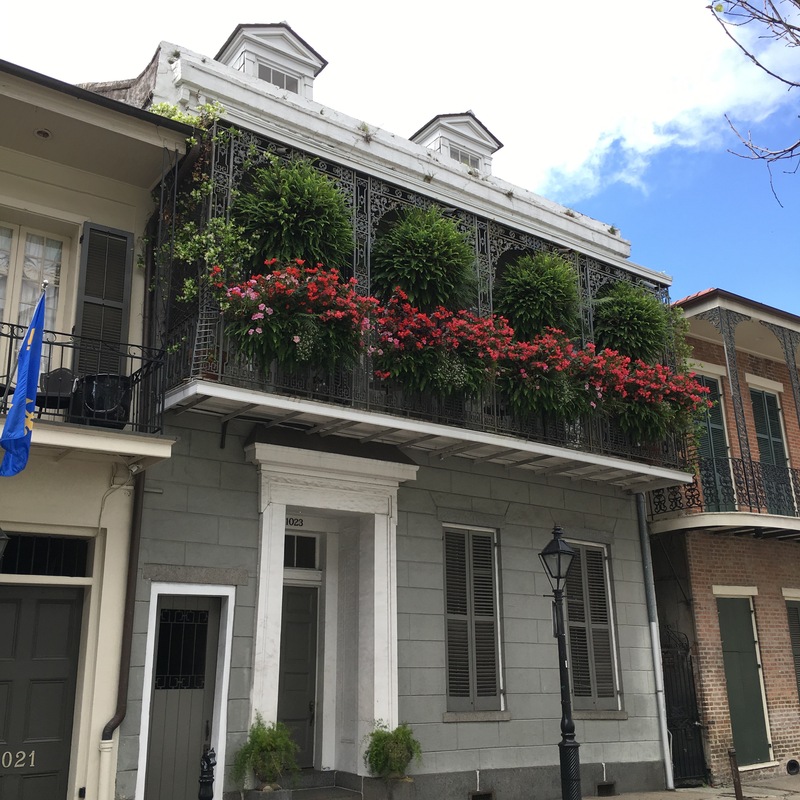 Once back in town I explored the French quarter on foot before joining a tour of a local rum brewery. I couldn’t resist the Cajun spiced rum and right now I am hoping it hasn’t exploded in my bag enroute home. For dinner we went to an outdoor bar where you choose cheese and cold meats and they arrange on a platter with bread and all the other nibbly bits! 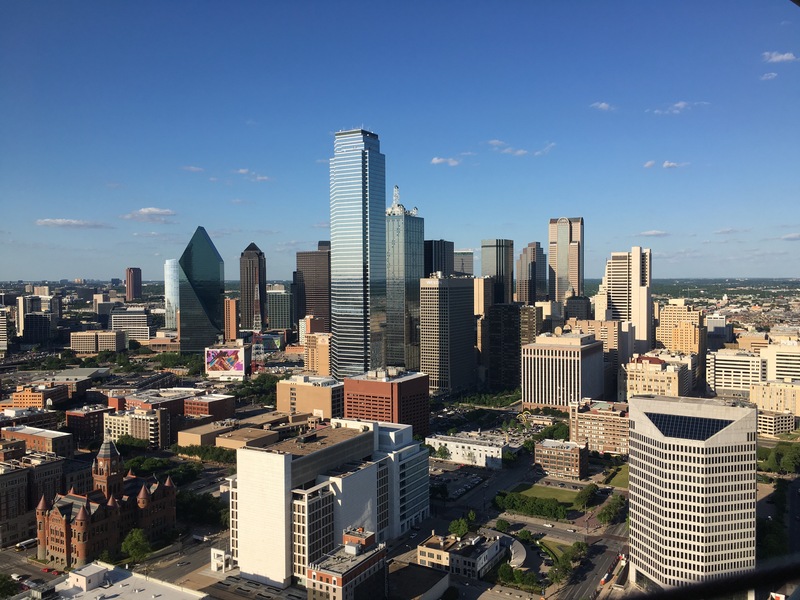 My next stop was Dallas for two nights where I stayed with friends. The first night we went out to a rooftop bar with great views over Dallas, the food was really good too. I went to the Sixth Floor Museum that tells the story of the JFK assassination, went up the reunion tower and also my friends work had a petting zoo come visit and I went along too. 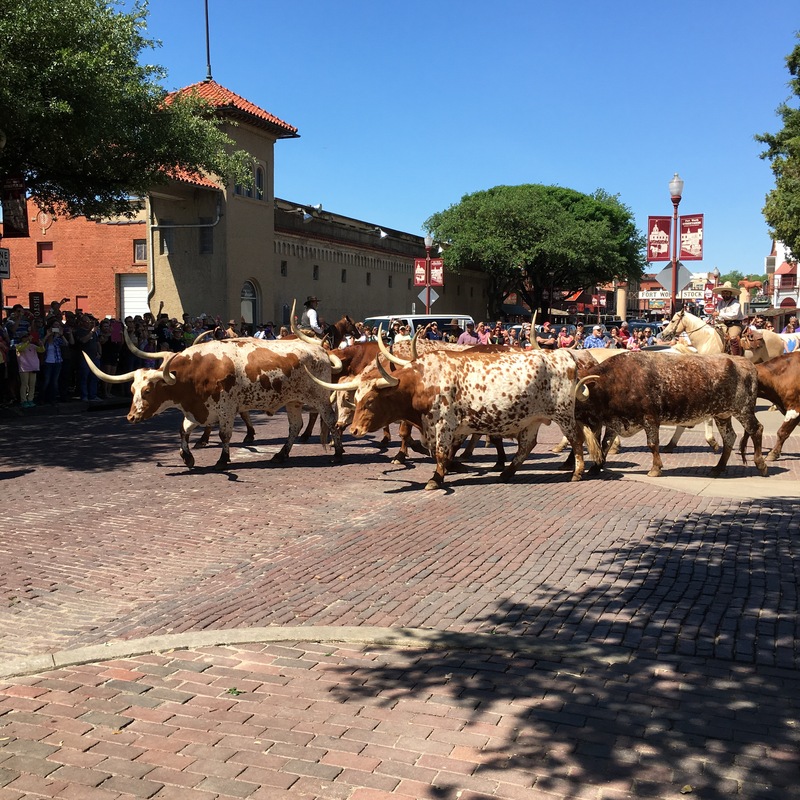 I went to the Fort Worth stockyards and watched the cattle drive and a staged fake shootout, it was all very Disneyland western styles. My next stop was a few days with Niki, keeping it weird in Austin. There was so much to see and it really reminded me of Wellington! 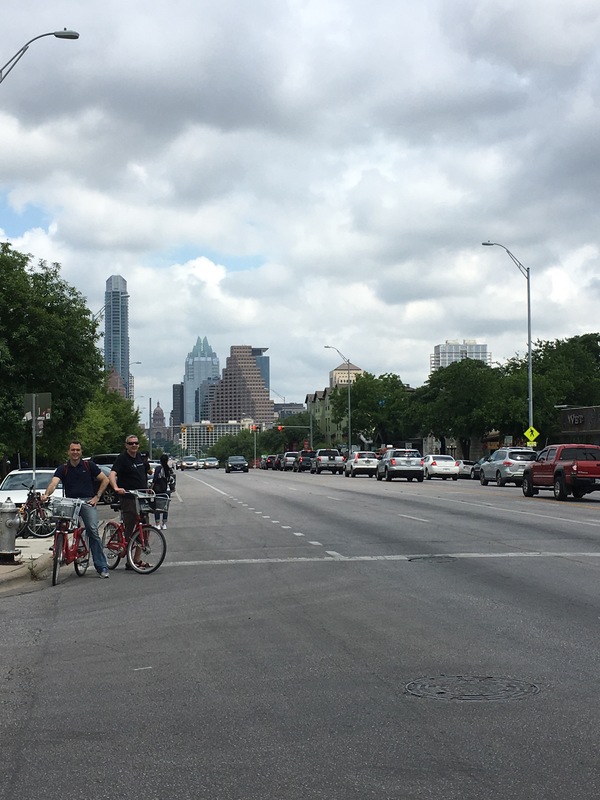 The weather was perfect to be enjoying the outdoor sights of Austin. 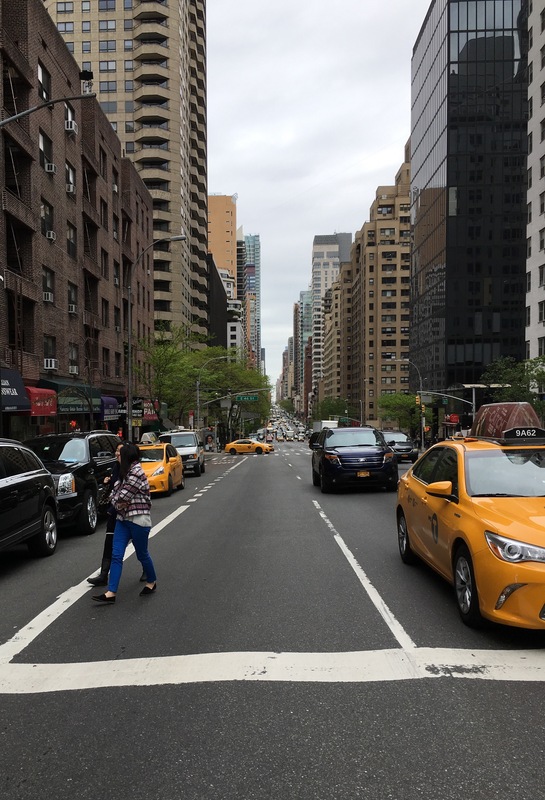 The city is very much an outdoor loving place, but with a lot of traffic due to the influx of people moving to the city. It’s the fastest growing metropolis in the USA with something like 150 people moving there every day. Niki took me to the Greenbelt where every other person (at least) had a dog. We then climbed Mt Bonnell for a great view of Austin and the Colorado River. We then ate fried pickles (crumbed type coating on the pickles and fried – my gluten free diet was temporarily shelved while on holiday), vegetarian hotdogs and drunk some local beers. The next day started in the most American way I could think of, breakfast at the farmers market and laughing at things like dogs in prams. We then went to the oh-so-hip SoCo, to check out the cute stores and people watch. We went to the first Whole Foods and ate pizza. I got my nails done and we went to a movie at the Alamo Draughthouse. The theatre serves you and drinks to your seat throughout the movie without you having to move, what an excellent idea! The next day we spent checking out Hill Country. First we went to Hamilton Pool, a gorgeous waterfall and pool of water that made me feel like I was in some tropical local. To continue the day of feeling like I was somewhere else we then climbed a giant Uluru type rock (Enchanted Rock). 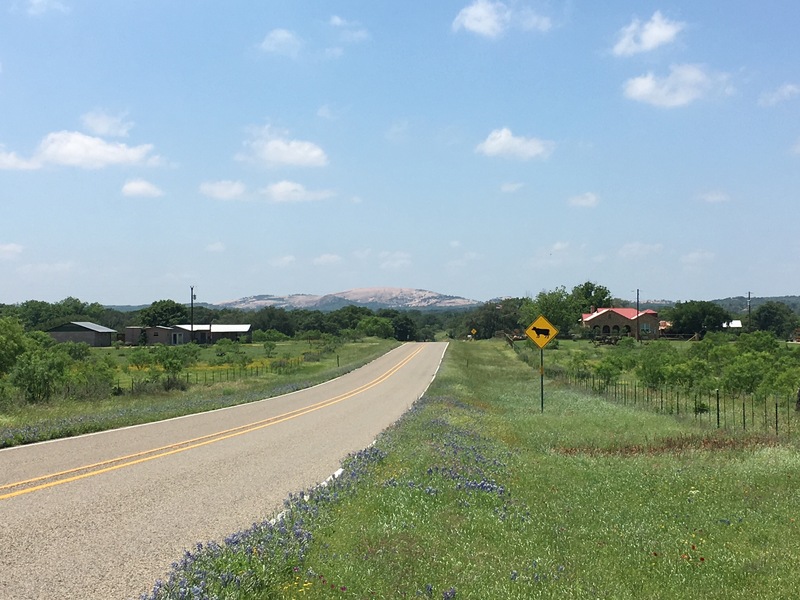 It was great to get out of he city and see some of the stunning Texas countryside and being Spring all the bluebonnets and wild flowers were out. On the way home we stopped by Fredericksburg for a Michelada (like a Bloody Mary but made with Beer instead of vodka) and sampled enough dips, pickles and chutneys at a shop to not need dinner. Our last stop was Luckenbach, population 4, where we were serenaded by a a man with a guitar and we sang along to country songs while sitting under a big old tree. The next day we ate crawfish! They were yum, like mini crayfish, and so messy to eat. After lunch we went to the Bullock Texas State History Museum which was a great way to solidify my knowledge of Texas history and after that we went for a wander to check out the Capitol building and have a wander through the city (we ate yummy burgers at P. Terry’s Burger stand and donuts at Voodoo Doughnuts). My last day in Austin (and Texas), Niki and I went tubing on the San Marcos river. It was quite fun but I ended up with a couple of bruises from getting stuck in the trees once or twice. Before we went out on the river we went to Gruene (pronounced Green) for lunch, and checked out the oldest dance hall in Texas. For dinner we had Tex-Mex and found a lost dog. I had to leave to head to Houston ready for my early morning flight the next day but I wanted to see what happened with the dog. Luckily the dog had a microchip and a quick trip to a shelter for a scanner and a phone call to get the owner contacted and the dog was picked up within the hour. It’s always great when there is a happy ending! My next blog will be about my five days in New York.